Sarah Anne loves lacrosse, and the MK Nightshade series that everyone was obsessed over in grade school. The problem is that she's still obsessed, which is way too nerdy for a popular kid like her. So she hides her geekiness with a set of rules meant to keep her geek and jock selves separate. Except when she's offered a spot in a Nightshade fandom contest, where the winner gets to see the new movie premiere in LA. No one seems to think Sarah Anne can win, since she's up against a pair of guys in high school--but the more she's called a fake fan, the more determined she is to wipe the floor with her competition. As long as none of her friends or anyone at school knows what she's doing. 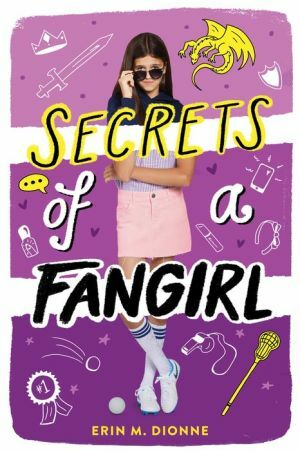 Can she keep her geek identity a secret, win the contest, and manage to keep her friends even though she's been living a lie? Sarah Anne is going to have to make some choices about what's truly important to her and which rules she's going to break to stay true to herself.